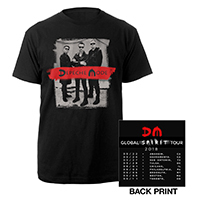 This men's t-shirt features album logo on the front and 2018 US tour dates on the back. This men's t-shirt features logo on the front and 2018 US tour dates on the back. This men's t-shirt features band photo on the front and 2018 US tour dates on the back. 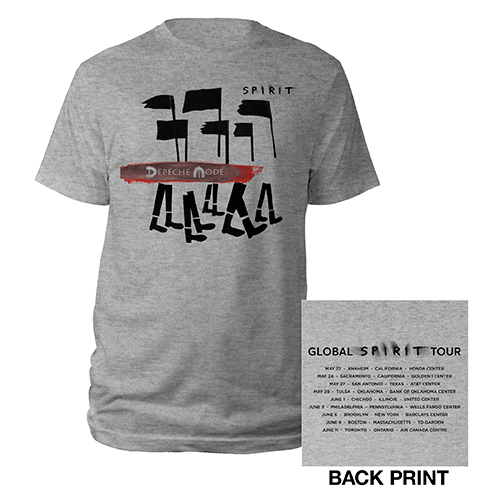 This men's t-shirt features album artwork on the front and 2018 US tour dates on the back. 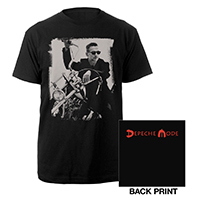 This men's t-shirt features Dave photo design on the front and logo on the back. This men's t-shirt features Fletch photo design on the front and logo on the back. 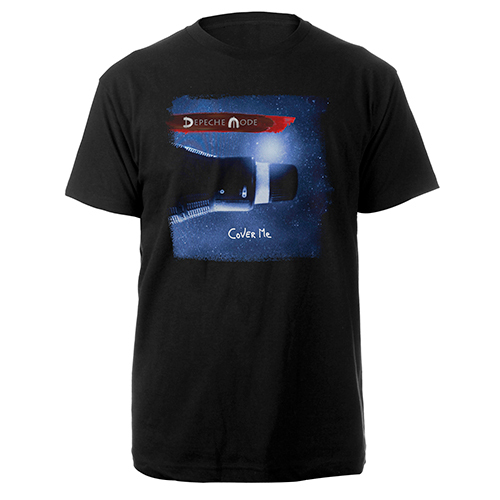 This men's t-shirt features Martin photo design on the front and logo on the back. 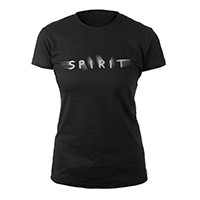 This men's t-shirt features triple band photo on the front and logo on the back. This men's t-shirt features a detail from the Music for the Masses album, re-designed on the front of this black 100% cotton shirt. This men's t-shirt features Cover Me album artwork on the front of this black 100% cotton shirt. 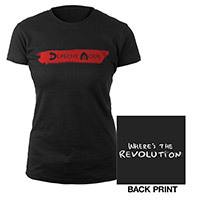 This ladies black babydoll tee features printed Depeche Mode logo on the front and Where's The Revolution on the back. 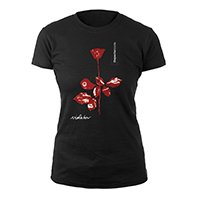 A reworked version of the Violator tee, with the classic rose and band name! Black 100% soft cotton. The classic Master & Servant graphic updated on a black soft 100% cotton tee. 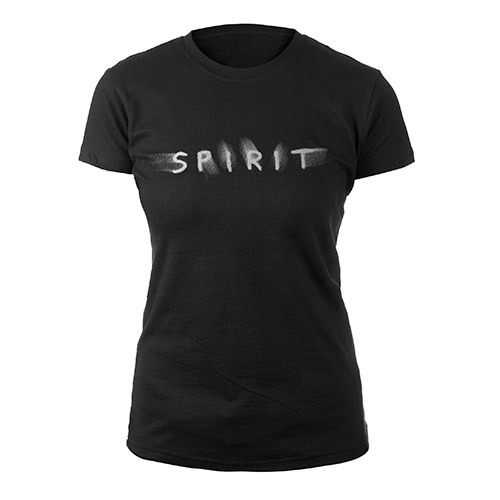 This women's fitted t-shirt features SPIRIT on the front. This women's fitted t-shirt features boots design on the front and DM Logo on the back. 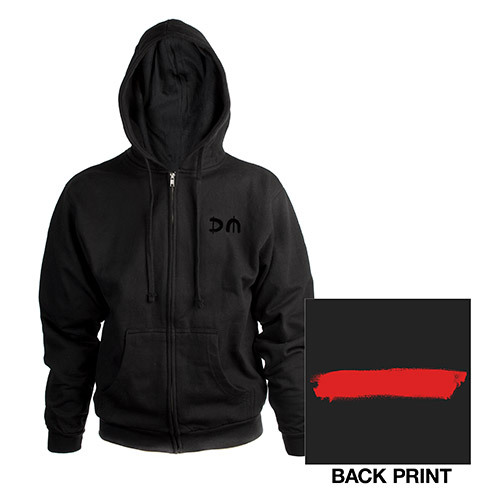 This unisex zip black hoody features DM logo on the front and red stripe on the back.